In WooCommerce version 2.1 a new feature was introduced that allowed one order to have multiple shipping packages. Having multiple shipping packages can come in handy in various situations. One that comes to mind at first is when you actually have multiple packages, for example when you can’t ship items together, or when someone has an order that should ship via two different vendors. Or the other obvious scenario, having to ship one order to multiple different destinations. Another very useful use-case that a other WooCommerce user pointed me too not long ago was the ability to allow free shipping on just a specific set of products. When using a shipping carrier plugin like UPS it can be hard to set this up, but when splitting your order into multiple packages, and then setup free shipping (with WooCommerce Advanced Free Shipping for example) you can target only the package with the free shipping items, while the UPS plugin still gets the shipping cost for the other products. Update I’ve build a plugin that allows you to split the cart into multiple packages. If you’re not comfortable with the code snippets below you may want to checkout the WooCommerce Advanced Shipping Packages plugin. The follow code snippet will split the shipping package based on the shipping class. Each product that has a shipping class A will be split into a separate package from the other products. This will setup a separte shipping package for the products with the ID 188, 189 and 190. The following code is similar to the (partial) code above. Use it by copying into the full code as seen as the first code snippet in this post. As you can see, there are two shipping packages, each where the user can select a shipping method. One thing that you will see is that the shipping packages are called Shipping #x. If you want to change this, you’re in bad luck, currently it is not possible to change that package name. I made a Pull Request to WooCommerce in order to allow the re-naming of the shipping package name, so you can call it what you want from within the shipping package array (as you saw in the first code snippet). When this Pull Request is accepted and it is in WooCommerce Core, I will update this post to include the new feature. Not all shipping plugins support shipping packages, so make sure you test everything extensively so your customers will pay the right amount on shipping cost. My own WooCommerce Advanced Shipping plugin supports shipping packages. Unfortunately I don’t have a code snippet available for that..
Where should this code be inserted? Does it go in the woocommerce-advanced-shipping/woocommerce-advanced-shipping.php? And if so, where should it be added? My site developer has been working with Jeroen to improve the shipping scenarios on our modestly sized apparel sales site. The challenges we had related to splitting shipping classes and assigning different rates and rules to products that are drop shipping internationally versus locally “all within a single order”. Jeroen has been so incredibly responsive and helpful! Already we have implemented the site improvements and could not be more pleased. 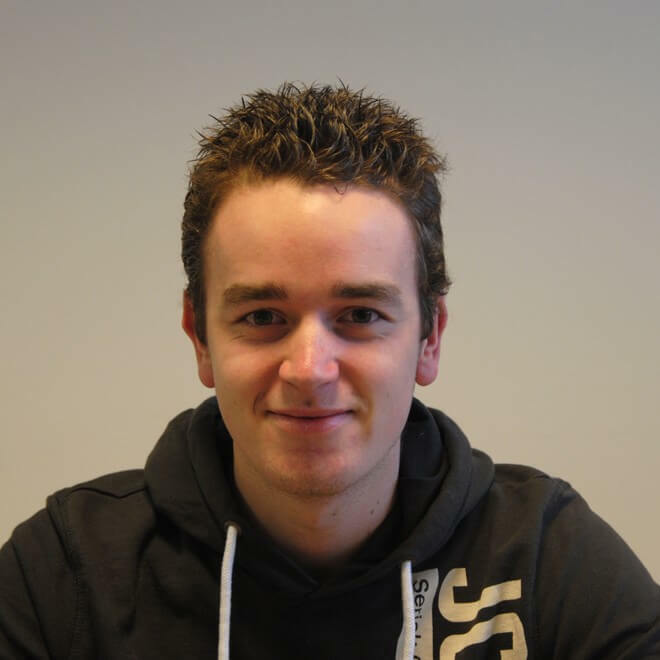 Both my programmer and I highly recommend Jeroen and want to share our positive experience with him. Thank You. Megan Duckett. Rock’n Roll Outfitters. This is awesome and I’ve used it to save money we were losing on shipping so thank you. However, there’s something I’m trying to debug. When AJAX is enabled on the checkout page. This function stalls the AJAX loading and it never completes. Any idea why that is? It seems that the data isn’t being passed over from cart to checkout. This has proven nearly impossible to debug. Please help! Thanks! Just tested the code for splitting on shipping class, and everything seems to work for me. It could be you have a plugin running that causes an error behind the scenes, preventing from data being send back and the loading to be stopped / table to be refreshed. Should be able to find a error in the error log in such case. Do you have news from woocommerce regarding to your pul request for shipping package name? Is there a way to follow your request? link? I don’t have a direct link right now, but you can search by author on GitHub. The package name can be filtered right now. Can you please help me to modify your code to handle 3 or more packages based on splitting out more than one shipping class? Now I need the shop to deal with another class the same way. The shipping costs of those class shouldn´t be added to the costs of the first class I already splitted. So, there has to be a third field of splitted shipping costs. I tried a few things but the shop always adds the shipping costs to the costs of the first class. Is there a way to realise this additonal seperation somehow? You can copy a part of the code and create a third shipping package. Feel free to reach out through the contact form if you need some further advise. This is exactly what I’m looking for I believe. Does your advanced plugin do the same without code? Does it support the woocommerce ups and usps shipping cost plugin? Thank you for your time. Yes the Advanced Shipping Packages plugin does the same without code. I haven’t tested it with any shipping carrier plugin, but I do think it should work out of the box. Can I display certain shipping options based on class. example, I only want to show flat rate shipping options for certain classes and and then for other classes i want to be able to show ups and usps. also what if i run a free shipping promotion? can i have a coupon apply to certain or all classes. I’m currently using the packages grouping plugin and It is exactly what I need except the shipping isn’t transfering correctly to paypal so I hope I can do the same with your plugin. Thank you for actually responding to support request. I think your the only one out there. Yes you can setup the shipping packages / options based on the shipping class. A free shipping coupon should also be possible, though I also haven’t tested that scenario. I’m not familiar with the packages grouping plugin, but WooCommerce sends over the data to PP so that is not interfered by the plugin itself. Do you have a development company that offers custom work incase I need anything in the future? How does this integrate with shipping zones? Do you still use zones or does this override all that? Thank you, I just want to make sure this does what I hope. The plugin doesn’t create any shipping rates so it is not related to shipping zones in any way like that. Please contact me through the contact form if you have any further questions. I am trying to use your code to apply free shipping to a product with a specific shipping class. The only problem is that it is adding the free shipping method to all packages in the cart. Even the package that does not have the free shipping class. The goal is to have one package with free shipping available, and the other package with only the paid options available and no free shipping option. It might be that the free shipping option you’re using isn’t compatible with shipping packages. My Advanced Shipping plugin definitely is compatible with shipping packages and would allow you to set that up. it is incredible how you can manage WP problemas and help people to clean up their problems with it! Thank you! i have a woocommerce shop where i have products with shipping cost included for national shipping (A) and products where the product weight adds to calculate the total shipping weight (B). So, which solution you would take? I thought to find a way to exclude product A weight from the shipping calculation for national shipping and leave as it is in the others shipping… but i don’t know how! Well, i hope i describe in a comprehensive way the problem…thank you very much! One (important) Q came from your message: how do you want to calculate the cost? If you want to use a shipping carrier / live quotes it is a different story then when using your own shipping rates. In case its live quotes, what you could try is setting up two packages as per this post, and using my Advanced Shipping plugin again to setup a free shipping rate (and hide others) for the A package. This snippet seems like exactly what I am looking for in my store. I have a quick question though, I am currently using Advanced Flat Rate Shipping plugin for my store – primarily because it lets me create customized flat rate shipping options with descriptions during checkout. The shipping methods I create in this plugin override the flat rate shipping classes that are associated with the product. My question is will your snippet work with this plugin? The code will work regardless of that plugin, the question is whether that plugin supports shipping packages, which I cannot answer for you since I’m not familiar with that plugin. I am trying the display shipping package cost for each item on thank you page and order details page, this snippet is splitting the package on cart but what about thank you page or order details page? Any idea? If the package is split properly, then WC core should also show the separate rates for each package in the emails, detail pages and everywhere else the order totals table is displayed. If its not it could be the order wasn’t split,, or maybe outdated theme files? Jeroen, i am working with latest version of [Storefront theme, WooCommerce & WordPress]. I am testing with Flat Rate 10*[qty]. On the checkout page it does show the accumulated shipping cost, but it still shows which rates were selected there. Not sure if you meant that specifically. If you want to change that you’d need to modify your theme files to show that. Thanks Jeroen, i was not sure, why properly separated packages still show total in thank you page or order detail page. Is there any way to split shopping cart base on the package? thank you for your answer…. What do you mean with you have 3 different packages? It doesn’t sound like you mean that these are the split packages I’m talking about. Please clarify your comment as it doesn’t really make sense to have ‘3 different shopping cart’. I just purchased the Advanced Shipping plugin and am having issues with how I’m trying to set things up. I have 3 different shipping package types setup so if the cart includes a product from each shipping type: the first package receives free shipping if the product has the specific shipping class assigned to it; the second package displays a message to the customer saying that they must call for special shipping (for large bulky shipments); and the last package receives UPS shipping rates. Can your plugin help get this setup? The Advanced Shipping plugin would be useful for the first package and possibly the second. For the UPS rates you’d want to use a UPS plugin. To split the cart you can either use a code snippet as shown above, or use my other plugin Advanced Shipping Packages to split the cart, and exclude the UPS rate from the 1st/2nd package for example. I want to split the package on specific condition like if Product A exceeds 64” – split up the delivery into two equal sized shipments. Does your plugin allow this shipment? The Shipping Packages plugin doesn’t have a condition for a specific product quantity/subtotal, but if wanted this can be added through a custom code snippet though. Splitting it up automatically in two equal sized shipments is not possible though (by default anyways). Could you maybe elaborate on how you’d like them to be split up (based on weight, $$, size)? This would help me with determining possible future features. Could you tell me if there is already a way to change the shipping package name for each different vendor? There is a way to modify the shipping package name, there’s a hook available for that since, I believe, WC 2.5 (IIRC). I proposed that change to WC core for my Advanced Shipping Package plugin which has the feature build in. I’m looking to implement your code on my website. We currently store small items on-site and any larger items we drop-ship direct from the supplier’s warehouse. We’d like to offer express & standard shipping methods for on-site products/classes and a ship by courier method only for the large dropship products/classes. Is there a way to ‘group’ shipping classes together into packages, such as ‘small-2kg & medium-1kg’ (on-site) and ‘extra-large-15kg & large-10kg’ (drop-ship), to allow customers to pay/checkout for each package seperately? Let me first note that split shipping packages cause shipping to be calculated separately per package, but it doesn’t allow customers to ‘pay/checkout for each package’. Its relatively easy to do a conditional check for one of two shipping classes and pack them into one package. Thanks for the prompt reply. That’s great, separate calculation is what I actually meant/wanted and I appreciate you clarifying that. I’ll have to have a look at your plugin as my coding is very hit and miss! Could you tell me whether your plugin would be appropriate for me? I am currently using Dokan plugin based on WooCommerc and I would like to see the shipping cost split between each vendor that the customer purchases from. I would like the capability that if the customer reaches a particular dollar value on their order they may be entitled to free shipping and this is mentioned to them through the cart experience. So it could end up being that they order from 3 vendors – vendor a $20 ordered, pay $10 shipping, vendor b – $70 orders pay $0 shipping, vendor c – orders $50, but if they spend up to $60 they get free shipping so in total the shipping only reaches $10. Can you please tell me if your plugin will do this? The Advanced Shipping Packages would only be able to split the cart into separate packages. If you can distinguish the vendors by something like shipping class or category you’d be able to split those based on those identifiers. Then for shipping,, do you mean that they get free shipping per vendor if the subtotal per that vendor is above $60? You might be able to setup something like that using my Advanced Shipping plugin, but that also depends on how your shipping cost is setup. It would require some additional work to get that working the way I imagine you want it to. Love your code how it works. I setup your code to split order by shipping class which works great. However, my second shipping package still shows “Free shipping” (by the way I am using your “Advanced Free Shipping Plugin” to determine the free shipping. Is there a ways to hide free-shipping option for package 2? Littile help will be appreciated. The AFS plugin currently doesn’t have the capability to look at the contents of a package. My other Advanced Shipping does have that capability, though the default ‘subtotal’ condition still looks at the cart subtotal. I may have a code snippet available that makes it look at the package cost, but I’m not 100% sure about that. Its also possible of course to manually remove the WAFS rate for the one package. You can look through the package rates to check and remove it. If I have a large product, like a bicycle, that isn’t shipped in a single box, how do I handle that? If you buy a frame-only, it’s box/weight A. If you buy a complete bike, it’s box/weight B + box/weight C.
It seems like the Advanced Shipping plugins are both geared towards creating multiple shipping boxes when dealing with multiple products… but what about one product and multiple boxes? If it matters, we’re also using the UPS plugin to get dynamic shipping pricing on checkout. Splitting one product into multiple packages isn’t possible as the packages do require a product to be in there. It might work if you actually have separate products for the different parts / like a grouped / composite product for the full bike, but I’m not sure if that is possible for your site. Note that Advanced Shipping itself doesn’t work with UPS, the Advanced Shipping Packages plugin would allow you to split the cart, hopefully too on the composite products (if you want to give that a try, I haven’t tested it myself). The UPS plugin would then need to support those shipping packages to get separate rates for each of them. Hope that helps / makes sense. how the actual shipping of the Shipping Packages of one order is managed in WooCommerce and how the order status follows the process? Example: Our customer orders one product, but we send first a tester, and after customer confirms we ship the actual product under the same order id and line. Customer doesn’t see the tester as an item in cart, but we manage it by custom made “between” order status. I was wondering if we can better manage the flow by creating own line item for the tester and have two Shipping Packages. But I couldn’t find out if we can ship the first Package only (to shipping-queue and tester-shipped) and week or two later the second Package (to shipping-queue and completed). How the order status follows Shipping Packages? This won’t be possible without additional customization. As there are only order statuses it isn’t possible to have two separate shipping statuses. I do believe there are some plans to change things up and have separate order statuses and shipping statuses, but I’m not sure when those will be introduced. If you’re starting such customization I’d advise to set things up based on the shipping packages and follow that as much as possible. Do you know if there’s a demo somewhere to test Advanced Shipping Packages? Do have experience or know how Advanced Shipping Packages works with WooCommerce Warehouses plugin? There’s no demo available, can’t tell how it works with that plugin, haven’t tested it. Hi, I tried the code, and everything works fine except TAX calculation. All taxes starting from the second package aren’t calculating. In buyable version taxes calculating properly? Or do you have any idea why it is might happen? Not sure why its not calculating tax for you. There are no known bugs in the plugin regarding taxes. Might be something in your setup, don’t believe packages should influence taxes like that. Just bought this plugin and there is still issue with Tax calculation and package names do not display properly as well. Please contact WooCommerce.com support for any support questions regarding the Shipping Packages plugin, as its sold through their system I cannot answer support questions directly. Seems like the code doesn’t work now sadly. Which means one is forced to have to buy the plugin. This is as of wc 3.1.0 btw. Just tested the first code snippet on WC 3.1 and seems to work perfectly with me. I’ve got no reason to believe WC has changed anything in regards of shipping packages here. The plugin itself hasn’t required or had a update for WC 3.1 either. There’s likely something else going on why the snippet isn’t working for you. You can do this by using the Advanced Shipping Packages plugin. With that you can create the packages per category, and exclude shipping methods per package to only show the respective shipping carrier option. I want to enable free shipping when over $100 is spent in certain categories, is there a simple way to do this? Is it possible to split two products into two shipping packages with Advanced Shipping Package plugin? I should have been more explicit that the two products are the SAME product. So if I have two shirts – both same product – how do I indicate to separate these into two packages? It is not possible to split one product into two packages with the plugin. Is it also possible to show the shipping price per product on cart? To do that you could split each product in a separate package so the shipping options are shown separately per product. 3. Freight ship items (manually calculated after order). I have created the free ship class and the manual ship class. Is there a way to include both classes in the array variable?